Today, while you’re munching on a perfectly satisfying pack of Oreos, someone might have decided to spill a bit more on a US$1,000 cookie. Yes, you read that right. Calm yourself, push your jaw back in, gain some composure and pick up that bag of Oreos from the floor. US$1,000. Duchess Cookies, a bakery based in New York City, prides in serving the “most expensive” cookie in the world. It’s simply called the ‘Thousand-Dollar Cookie’, and fret not, it’s not a snack that can be walloped in just one bite. 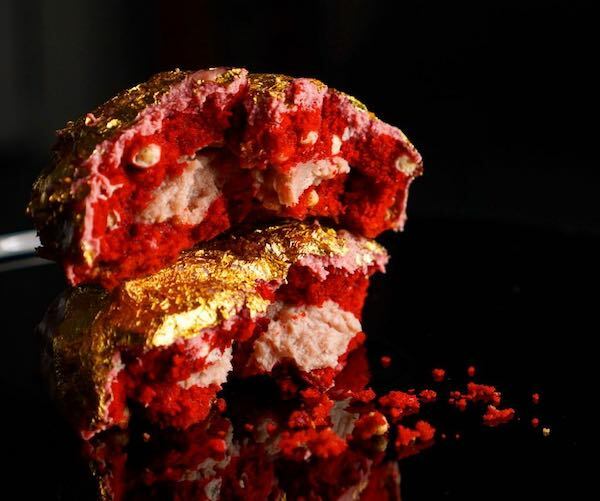 The ‘Thousand-Dollar Cookie’ is stuffed with oozing ruby chocolate—a naturally pink variation touted as the fourth chocolate in the world alongside milk, dark, and white. It is then dusted with 23-carat gold leaves. The snack was conceptualized with Jonathan Cheban, Kim Kardashian’s best friend who also helped come up with US$1,000 chicken wings. Just in case the cookie’s lavishness isn’t well-exhibited, it’s even served atop a bed of freshwater pearls in a Baccarat catchall made of fine china—so essentially, you are paying for the packaging. Duchess Cookies, thankfully, isn’t fully throwing itself in the opulent business. Its regular cookies are priced at US$4 each.